The new iPhone is here, and so is its merciless, heartbreaking, and yet insightful teardown. 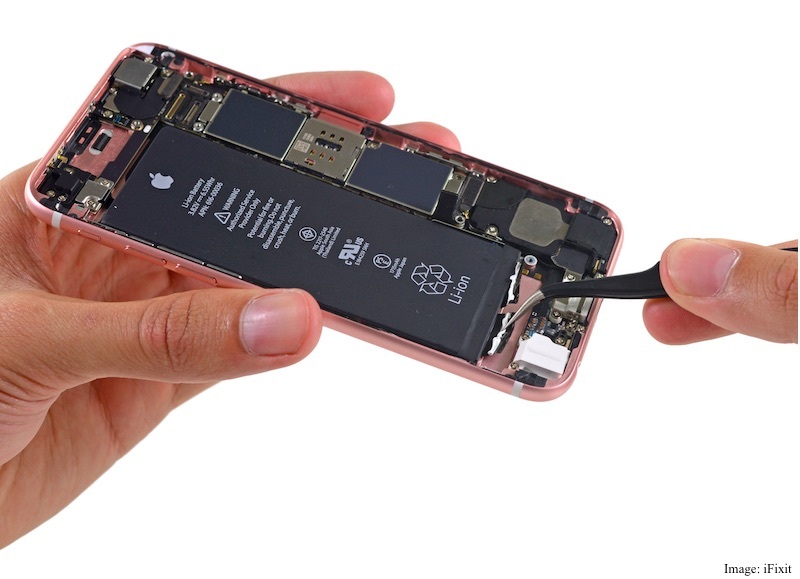 Professional gadget breakers at iFixit have cracked open the iPhone 6s to provide detailed information about the internal components that keep Apple’s newest smartphone ticking. Apple is no fan of hardware specifications so it usually keeps such talks to a minimum — and in many cases give no information whatsoever. While it will often tell you how much faster the new iPhone’s processor is compared to its predecessors, and how it fares against rivals, Apple will usually not share information like battery capacity, save for occasional slip-ups. Which makes efforts of iFixit, a company that offers several hardware repair services, all the more important. Much like any previous iPhone models, the new iPhone 6s shows off Apple’s obsession with controlling each and every aspect of its new smartphone. “Apple is all about the little things. The colour of the Pentalobe screws at the bottom of the case match the colour of the case. Oh, Apple,” writes iFixit. Coming to the core hardware modules, the battery inside the new iPhone is indeed smaller than its last year’s counterpart. Instead of 1810mAh, we are looking at 1715mAh. But why? Despite being a tad little heavier and thicker, it seems Apple had to cut down on battery to accommodate the new Taptic Engine, which takes up more space. The other component which is noticeably different is the all new display, sporting 3D Touch technology. The company has added a whole new layer to the display to make it pressure sensitive. New capacity sensors have been installed into the display backlight, and the cables that run along the display are fewer than before. The LCD plate design also looks a bit different, iFixit noted. The new camera sensors — that as you may recall are getting a huge bump from before — don’t come with noticeably different looking components. Coming to the chipset and memory, the iPhone 6s is powered by Apple A9 (APL0898 SoC) paired with Samsung-made LPDDR4 RAM. For connectivity, we’re looking at Qualcomm’s MDM9635M LTE Cat. 6 modem, andUniversal Scientific Industrial 339S00043 Wi-Fi module. As for internal storage, we have 16GB 19nm NAND flash made by Toshiba. The components come packed in spacecraft grade 7000 Series aluminium body, which a different report suggests is more powerful than ever and are not prone to bending. So hopefully, we will see fewer iPhone bending videos on YouTube this year. The teardown is still going on and we are yet to learn how repairable the device is. Don’t keep your expectations high, though as Apple’s devices are not among the easiest things to open and repair. But that shouldn’t really affect your buying decision. We will update this story as and when iFixit shares more interesting information.